The specifications of the leatherette Huawei phone have been fully uploaded to TENAA and it is huuuge. It has a gargantuan 7.12 screen and a humongous 4,900mAh battery. Oh, and theres the much smaller Huawei Y9 (2019) as well, but more on that in a minute. 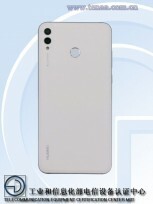 Our guess is that the large phone is part of the Huawei nova series, though the hardware is mostly similar to the Honor 8X Max. The screen seems the same, down to the notch and 1,080 x 2244px resolution. The chipset is not the same, however, the octa-core CPU can clock up to 1.95GHz while the Snapdragon 636 of the 8X Max topped out at 1.8GHz. RAM capacity is 4GB and seemingly theres no 6GB option. Storage options are 64GB and 128GB, plus a microSD slot. As we saw yesterday, there are Black and White versions of the leatherette back (with faux decorative stitching), but the White model will come only with 128GB storage. The camera department should be identical to the Honor model with a 16+2MP rear shooter and an 8MP selfie camera. 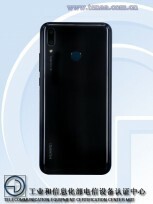 Next up, the Huawei Y9 (2019). 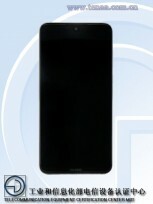 Or maybe Huawei Y10. The Huawei Y9 (2018) was pretty large with its 5.93 screen, but its sequel will outgrow it wihtw a 6.5 1,080 x 2,340px display. So, this is the more petite version of the phone above. It too will have a large battery (3,900mAh) and a new chipset  octa-core CPU at 2.2GHz (likely a Kirin 710). The RAM is split between 4GB and 6GB, probably tied to the choice of storage  64GB or 128GB. Again, the second color option will come only with 128GB storage (there are no photos of it, unfortunately). Theres a microSD slot here too. 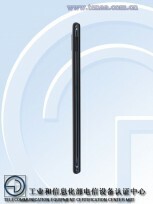 As for the camera, were looking at 20+2MP on the rear and 16MP on the front. Thats what the spec says, anyway, the image of the front clearly shows two camera lenses. Last years model had a dual selfie camera as well.